The majority of Commerce students that I come across these days are looking to make their career in the field of Finance. Even, a substantial number of engineering graduates whom I personally know, are currently changing their career to the Financial Services. At present, the Finance industry in India and across the globe is growing at a rapid pace. Therefore, it is of no doubt in saying that professional degrees and courses like MBA (Finance), CFA, FRM, and CFP are attracting a huge number of students every day. However, apart from these mentioned courses, is there any other course which can give you the license to work as a self-employed individual in the Finance sector? Do you know of any course which is comparatively easier to pursue, affordable and gives you the ticket to pursue a career in the Finance industry? The answer to both the questions is “NISM certification”. But hey! Are you hearing the word ‘NISM’ for the first time? Even if yes, then you don’t need to worry at all. 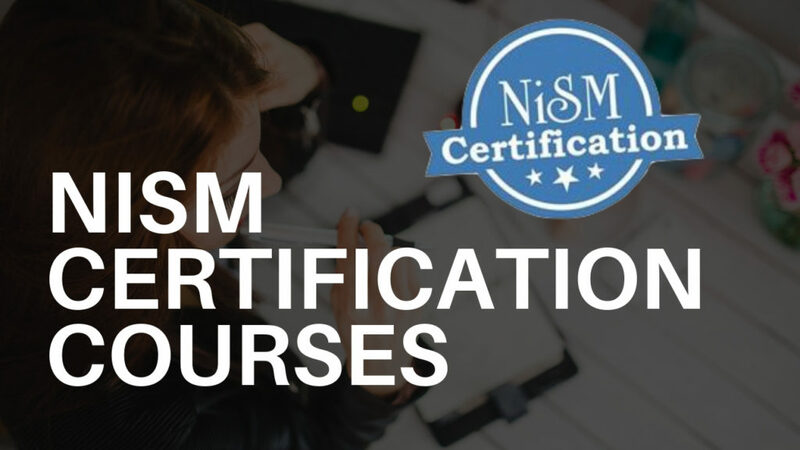 In this article, I would share a brief overview of the wide range of NISM courses available and how you can get certified with NISM. NISM (National Institute of Securities Markets) is headquartered in Navi Mumbai, India and offers a wide range of courses to the Indian students. It is a public trust which was established by SEBI (Securities and Exchange Board of India). 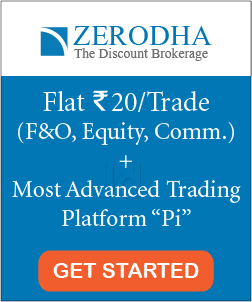 SEBI is the apex body which regulates the securities markets in India. The SCI (School for Certification of Intermediaries) is one of the six schools of excellence at NISM. The SCI is engaged in the development of Certification examinations and Continuing Professional Education (CPE) programmes in the Financial Markets domain. These are conducted for validating and enhancing the abilities of the associates working in the Indian capital markets. 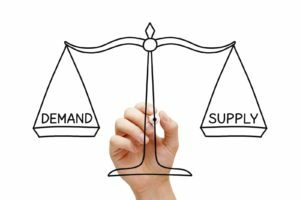 What does the NISM offer? The NISM campus in Patalganga (Maharashtra) offers two full-time courses in Finance. The first one is PGPSM (Post Graduate Programme in Securities Markets) and the other is PGD (Post Graduate Diploma) in FinTech. Apart from these two stated courses, NISM also offers a few other long term courses in collaboration with international bodies. You can have a look at those courses clicking here. Further, there are 22 short term certification courses offered by NISM. In this article, we would predominantly hold a discussion on these certifications. 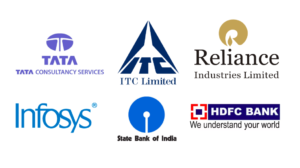 A majority of these short term courses are mandated by SEBI for those who are either self-employed like an investment advisor or research analyst or working in the Financial Services industry in India. The rests are voluntary certifications which have not been mandatory for the finance professionals. But, the voluntary certifications are beneficial in the sense that they provide advanced knowledge in some specific area. For example, Mutual Fund Distributors Certification Examination (Series V C) is a voluntary exam but its contents and way of testing the candidates is more difficult than other Mutual Funds exams. Note: You can find the list of all the available 22 courses on the website of NISM here. How to register for a NISM certification exam? In order to register for any course offered by NISM, you first need to create your account on the NISM website. Click on this link and it will take you to the home page of the website. While creating your account, make sure you have a digital copy of your photograph, aadhar card and PAN card with you. After you are done with the account creation, you can choose any module of your choice. To register for any module exam, you have to select the exam date, time and center first. After that, it will take you to the payment gateway. Once you have paid the required exam fees, you would get the soft copy of the workbook (study material) and the hall ticket in your account. Take a physical printout of your hall ticket and carry it with you to the exam center on the day of your exam. Also read: Want to Take NSE Certification Exam? Now You Can! How are the contents of NISM courses? The NISM provides the students with soft copies of the study materials in the ‘pdf’ format. The content covers both theoretical and practical aspects of the Financial Markets. 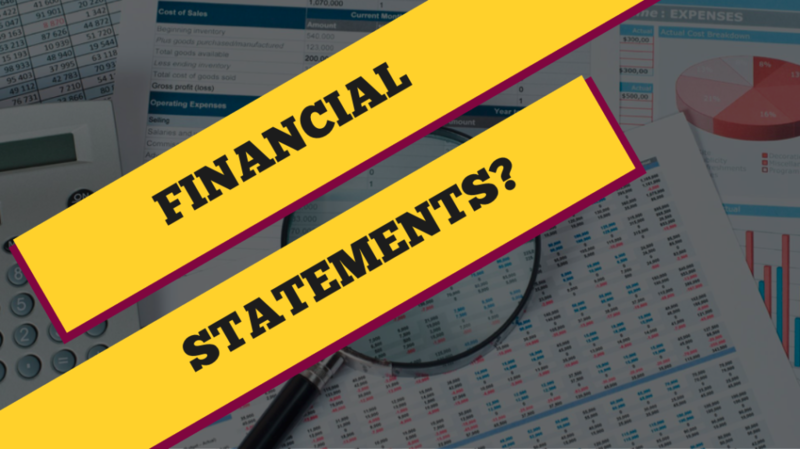 These courses teach you various jargons which you need to know for pursuing a career in the Financial Markets. Anyways, you can also enroll in these courses if you are simply interested in gaining knowledge. 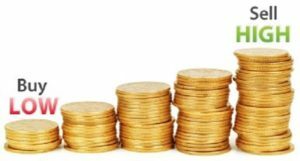 These programmes teach you the key theoretical concepts of the Stock Market, Mutual Fund, Financial Planning, and many others. The exams are based on MCQ (Multiple Choice Questions) and the students are tested on their conceptual understanding. Although you don’t get the opportunity to work on demo projects here, you certainly get the chance to solve case study questions in the exams. Further, you cannot carry a scientific calculator in the exam. But, you are definitely allowed to do rough works in MS Excel, OpenOffice or digital calc on the given desktop in the exam hall. 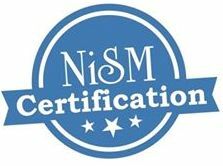 The NISM certification exams majorly focus on the practical understanding rather than emphasizing on mugging up theories. The best feature of these certifications is that the course modules are updated in every year. How much time does it take for the completion of a NISM course? In case of a NISM certification examination, you don’t need any significant amount of time to complete the same unlike CA, CFA, or MBA (Finance). Practically speaking, you can book your exam slot at any time. However, it is recommended that you should prepare for at least two weeks to a month before taking any module exam. This is because when you register for an exam, you get the study material covering a minimum of 100 pages which needs a decent time for complete reading. If you are only looking to clear the exam, you can do the same by referring to the mock tests of private institutions. 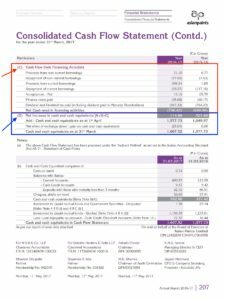 But, if you are looking to gain knowledge of the financial markets and clear the exams with distinction marks, you must study the workbooks given to you by NISM. What is the registration fee to be paid to opt for a NISM certification exam? The registration fee for any exam is pretty reasonable in nature. Here, you don’t need to pay over 30 or 40 thousand rupees to write a semester of MBA or a level exam in CFA. Today, you can register in a NISM exam for as low as Rs 1200. The module exam with the highest registration fee is Rs 3000. Whenever you are enrolling for an exam of NISM, you have to pay the required fees. If you are unable to attempt that exam or fail in the same, you have to pay the same fee again for re-appearing in the exam. How’s the difficulty level of a NISM exam? The difficulty level of the NISM exams is between average to moderately high. For some exams, the contents and way of testing could be more difficult than the rests. The NISM Investment Advisor Exams (Level 1 and 2) contain relatively more practical contents as compared to the other courses. On the other hand, exams like the NISM (Series VI) Depository Operations Certification Examination contain a very high share of theory portion in their syllabus. In order to pass a module, you need to secure a minimum of 60% score in most of the module exams. Besides, these exams come with negative marking of 25% per question. 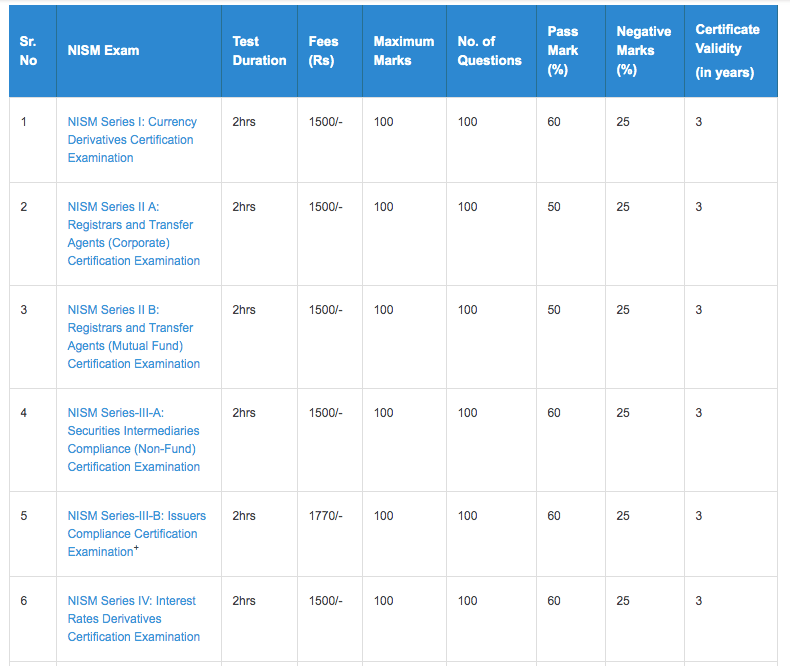 A very few exams like NISM (Series V A) Mutual Funds Distributors Certification Examination have a minimum passing marks criteria of 50% and also they don’t have any negative marking feature. NISM exams are definitely one of the best in the industry if you are a fresher and willing to make a career in Finance. These certification exams are sufficient to give you an initial push in your career. They are strong enough to add a few keywords in your resume and make it look better than your peers. 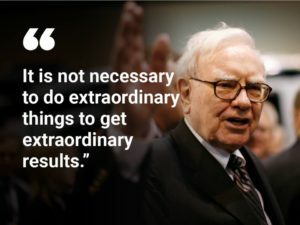 But, you must understand that clearing these exams are not going to make you stand at par with the jobseekers having CA, CFA, FRM or MBA (Finance) in their portfolio. Nonetheless, in case you are looking for a job after graduation, these courses can help you in getting shortlisted on India’s top job websites. 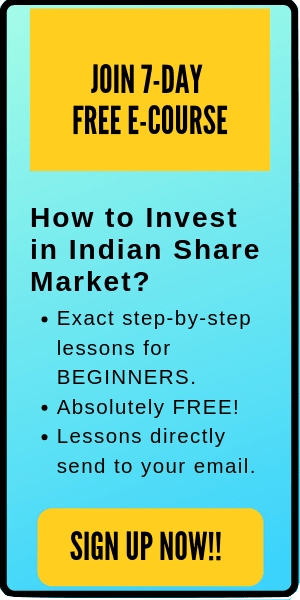 It is easy to start your career as a Mutual Fund Selling Agent or an Equity Dealer clearing the required NISM exams. But, if you are aiming for a career in Portfolio Management, Investment Banking or Fund Manager, you should look for the premier courses in Finance. 11 Must-Know Catalysts That Can Move The Share Price. 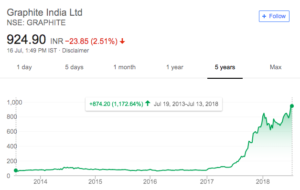 While investing in the stock market, a number of times you may find that a new announcement regarding any company drastically spikes its share price within a few months. These are called catalysts. 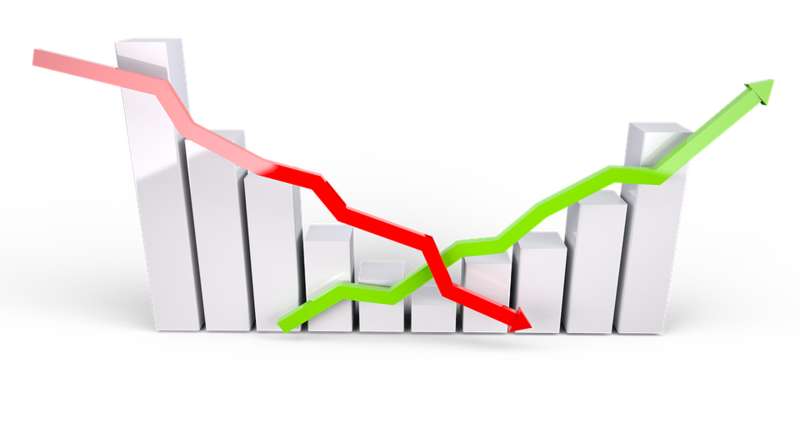 The catalysts are the certain special events (actual or potential) that are capable to push the share price of a company upwards or downwards in a short (accelerated) time period. These catalysts may ‘not’ always push the share price upwards. However, most of the times, these catalysts allow the investors to get a fast profit by holding the share for a shorter period of time. Moreover, the outcomes of these catalysts are comparatively easier to predict. 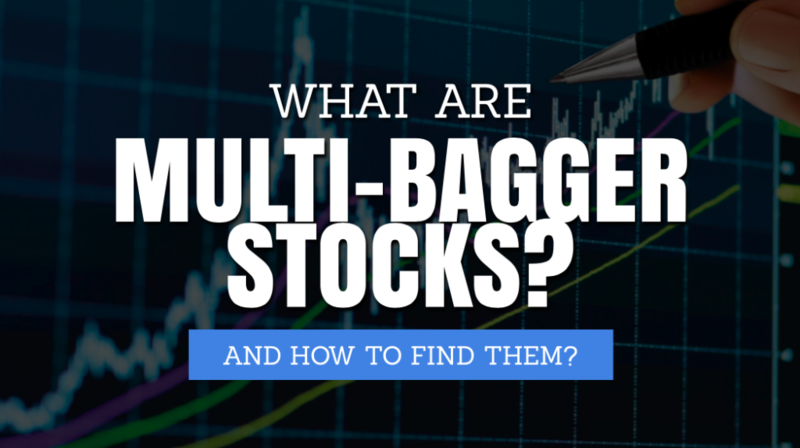 Depending on the catalyst type, you can analyze whether the share price will go up or down. 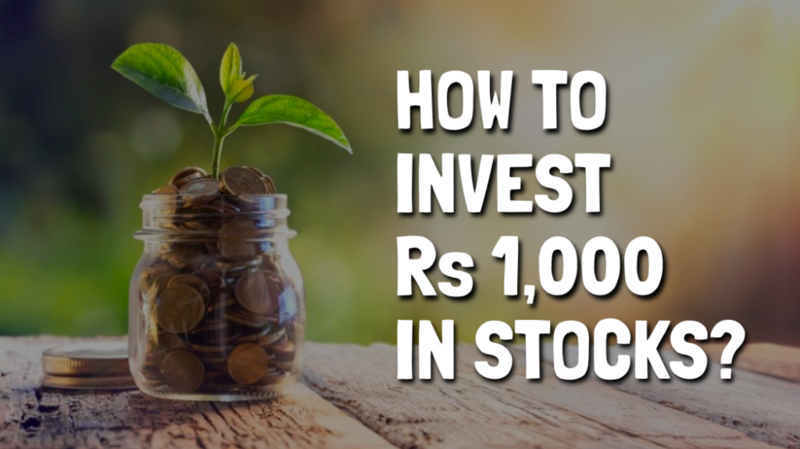 In this post, we are going to discuss top 11 must-know catalysts that can move the share price of a company. 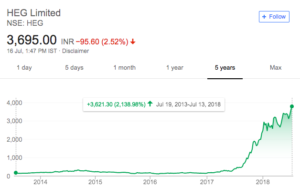 DISCLAIMER: Although most of the times these catalysts can move the share price of the company, however, there is no guarantee that the things will always work out as expected. Sometimes these catalysts may not be able to move the share price as much as logically predicted. A strong earnings report (which is above than what expected by the market experts) can be really good for the stock. 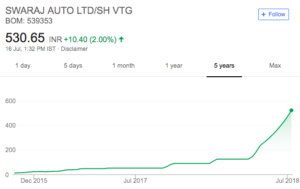 The public takes this report enthusiastically and hence, the company’s share price is pushed higher. Further, this also raises the ‘bar’ for the future earning potentials of the company. A merger occurs when two separate entities combine together to form a new joint organization. You can consider merger as a corporate ‘marriage’. Whereas, when a company takes over another company and establishes itself as a new owner, then this action is called acquisition. Mergers and acquisitions can push the share prices of the ‘acquiring’ and the ‘target’ company. However, here do take care which company will get more benefits after the merger. Read more here: What are Mergers and Acquisitions (M&A)? 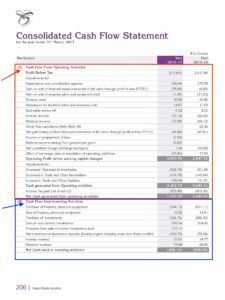 A share buyback is a situation when a company buys its own share back. 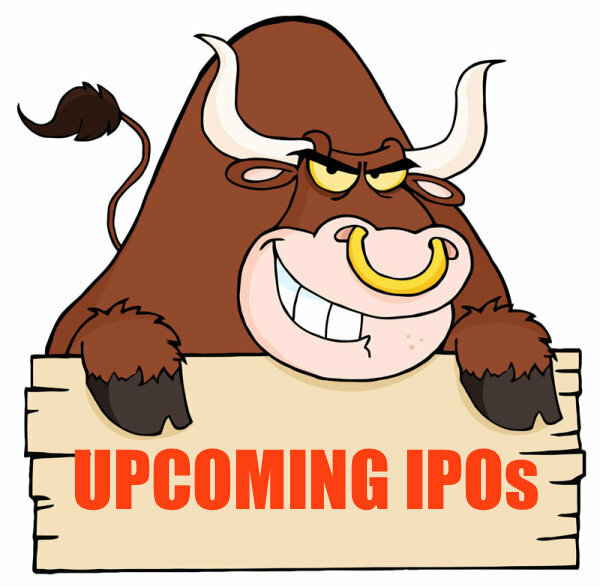 This means that the company will purchase the outstanding shares and hence will reduce the total number of shares available in the market. 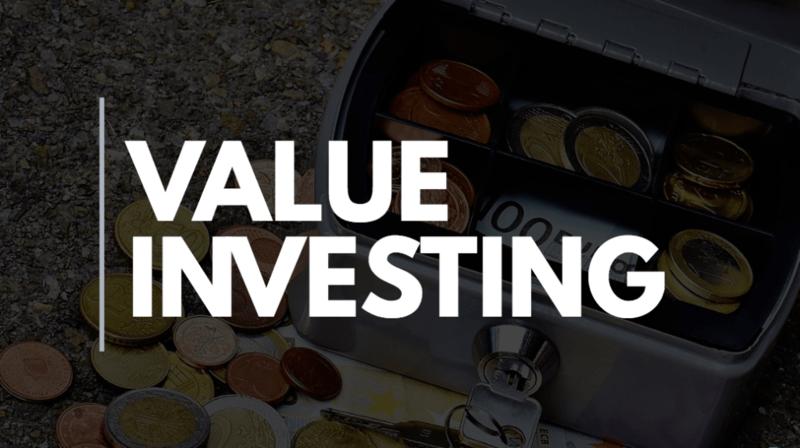 As stock buyback increases the value of the remaining shares. Hence, it increases the demand for the stocks of that company and pushes its share price in the upward direction. A significant dividend announcement by the board of directors means that every shareholder will get a greater dividend per share. This will increase the demand for the stock and hence a rise in the share price can be expected. 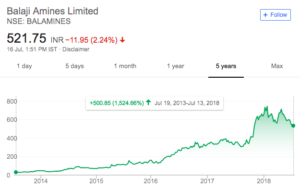 However, in such scenarios, many times the share prices increase till the ex-dividend date of the company and might move a little downwards after the record date. If a company announces the launch of a new product or the opening of a new plant which can help to generate more revenue in future, then it will be taken positively by the public. 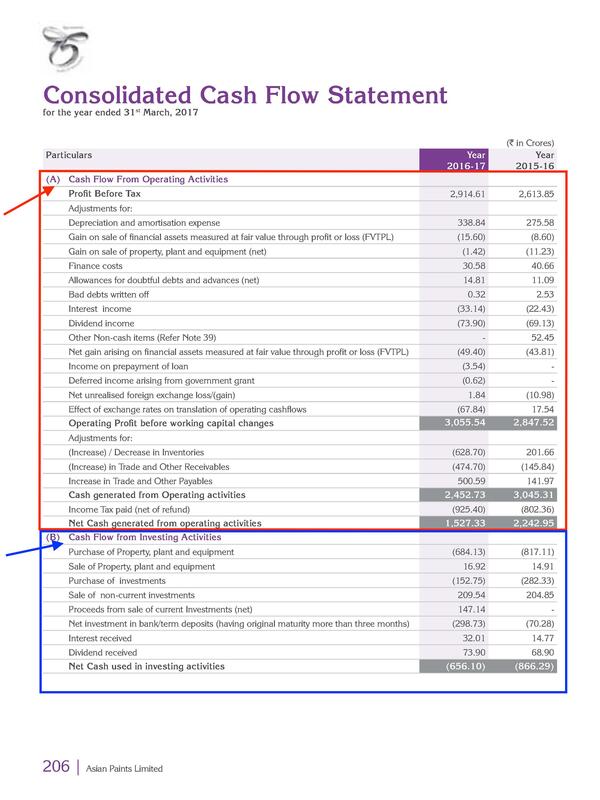 In a stock split, the company splits the share price into different parts. 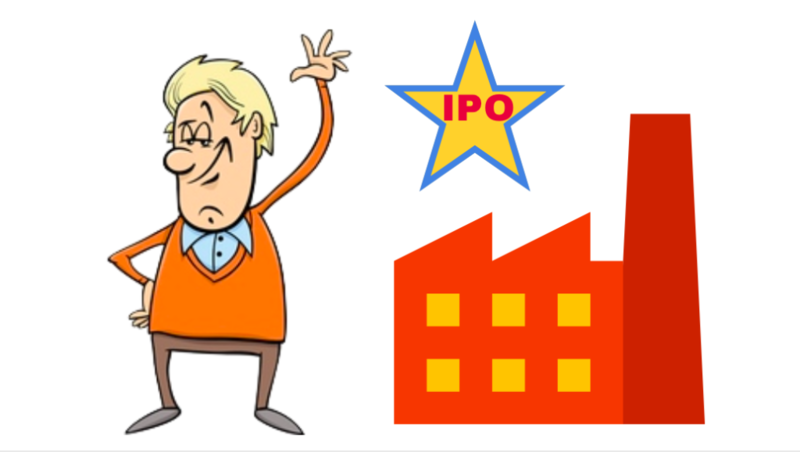 For example, in a stock split of 1:1, stock price splits into two parts.In a stock split of 1:5, stock splits into 5 parts. 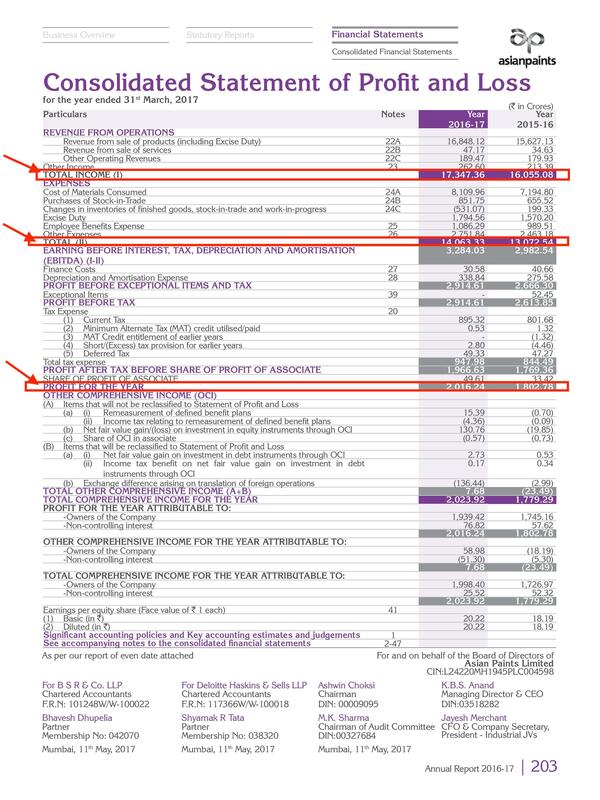 The fundamentals of a company remain same in a stock split. 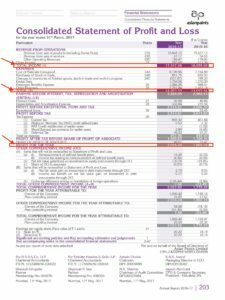 There is neither increase or decrease in the share capital or reserve in a stock split. 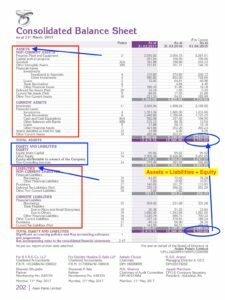 Stock splits make the company more affordable for an average investor. Further, it also increases the liquidity of the stock and its trading volume. 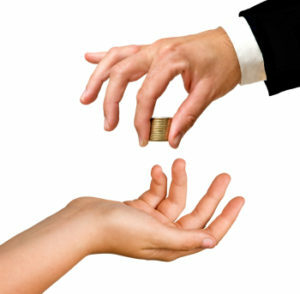 The bonus shares are the additional shares given to the shareholders by the company. This is a method of rewarding the shareholders. 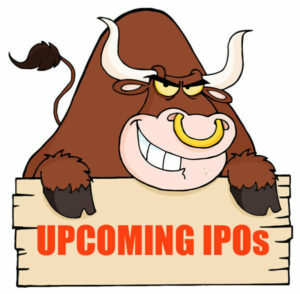 Although, there will be no noticeable difference in the wealth of shareholder as the share price of the company will fall in the same proportion after bonus date. 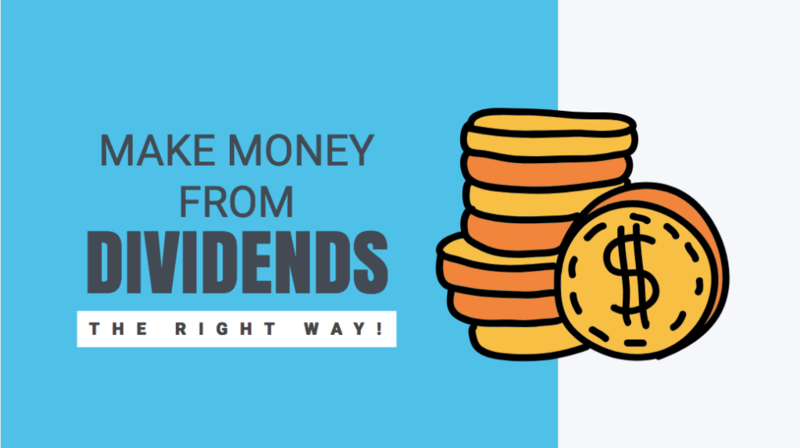 However, the announcement of the bonus shares is considered a positive news as it will increase the dividends that you’ll receive in future (as you will hold more stocks which will be added as the bonus in future). 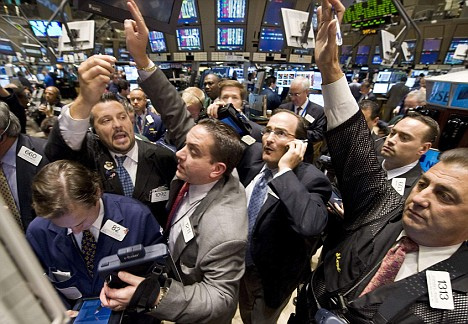 That’s why bonus announced by the company is taken eagerly by the crowd resulting in an increase in the share price. What are spinoffs? – A company may have several products or services. When a larger company ‘Spins off” a division and split the company up in two, then it is called spin-offs. Shareholders receive stocks from both companies. Here, the independent companies perform better as the management can focus more on the individual company. 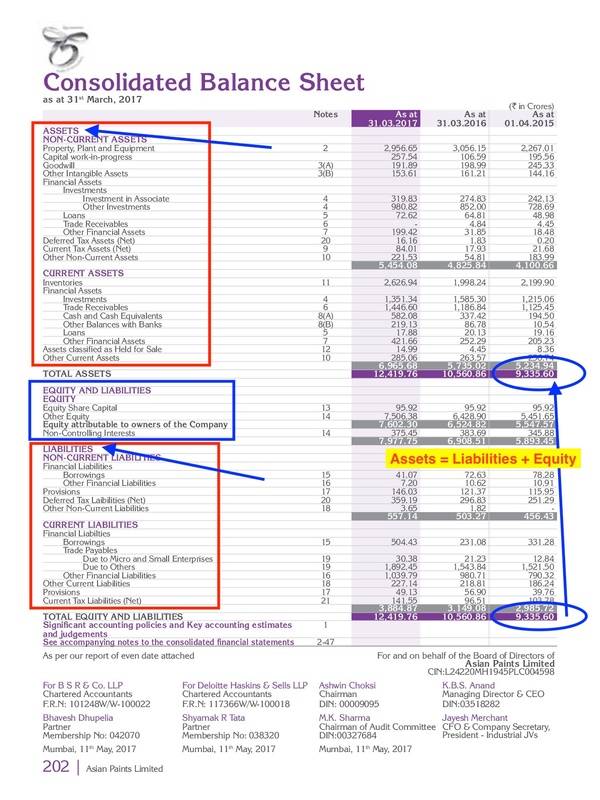 In addition, after spinoffs, there’s a better stock valuation for each company sedately as opposed to one big entity. The announcement of spinoffs will easily move the share price of the company. Liquidation is a bad news as it means that the business went bankrupt and will be terminated. While liquidation, the company sells everything it owns. 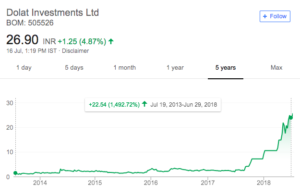 The shareholders who are owning this company might want to get rid of it or start selling their shares to some other people. 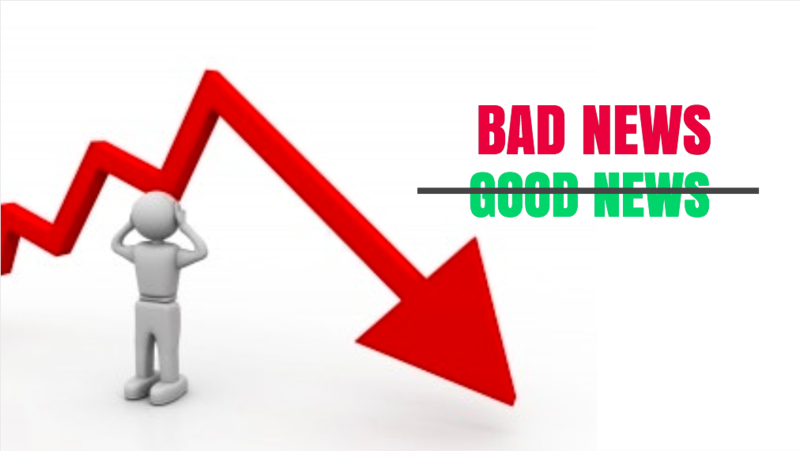 Hence, liquidation announcement acts as catalysts that can move the share price in the negative direction. Many public companies are sometimes investigated. There can be various outcomes while dealing with lawsuits and investigations. 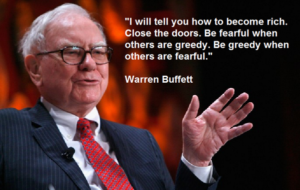 The company share price can move in different directions once the public finds out about it. 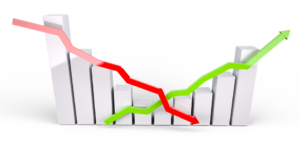 In general, during the investigation time, the share price of that company moves in the downward direction. It declines further if the company is found guilty. However, if the company is found ‘not guilty’, then its share price may jump in the upward direction. 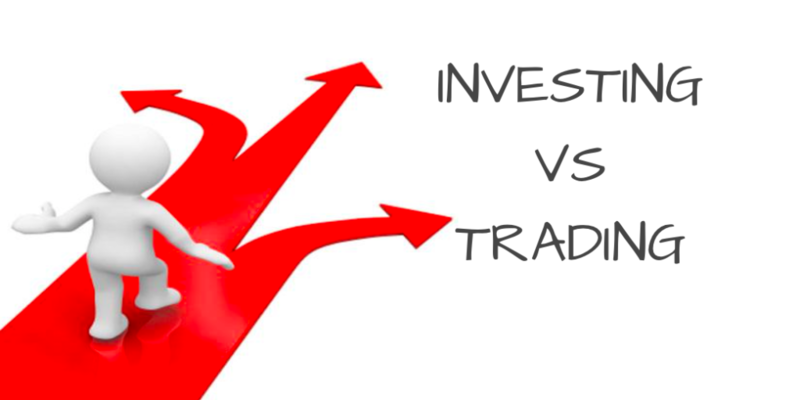 When a company is added to the index (such as nifty or Sensex), then the index funds have to purchase that company. This increases demand and pushes the share price. Bonus: Few other catalysts that can move the share price are ‘change in management’, takeovers, a spike in interest rates, political reasons, global issues etc. Usually, most of these catalysts are ‘unpredictable in nature‘. 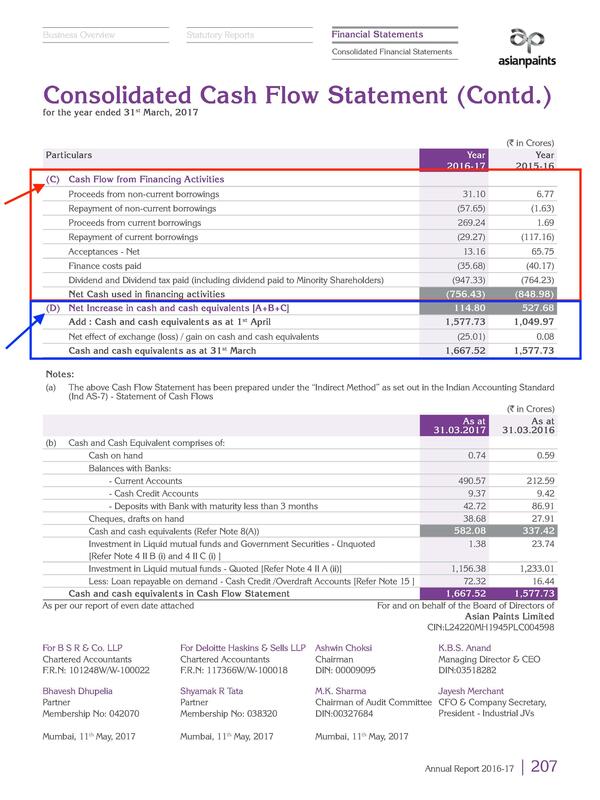 It’s really difficult to predict when the company will announce next bonus or a significant dividend (although few of these catalysts can be predicted by the experts, however, the exact news is known only after the announcement). That’s why don’t make an entire investing strategy just based on this info. Take these catalysts into account and be ready for it. In addition, you also need to follow the news regarding these catalysts in a ‘smart’ way. There are a lot of fake news or rumors in the market. Filter out the correct news before processing. You can use google alerts to get the relevant news. Also read: How to Use Google Alerts to Monitor Your Portfolio? 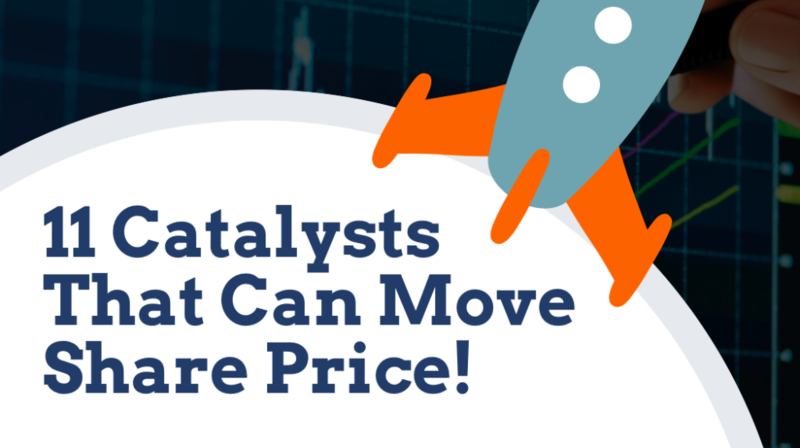 There are a number of catalysts in the market that can accelerate the share price. 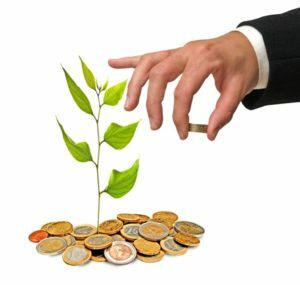 These are the bonus information if known to the investors, can help to get profit within a short time period. 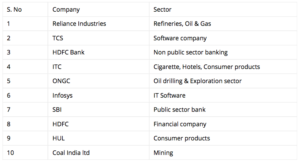 Here are the top 11 Catalysts that can move the share price which we studied today. Feel free to leave a comment below if you have any doubt or want to ask any questions. I’ll be happy to help you out. #HappyInvesting.